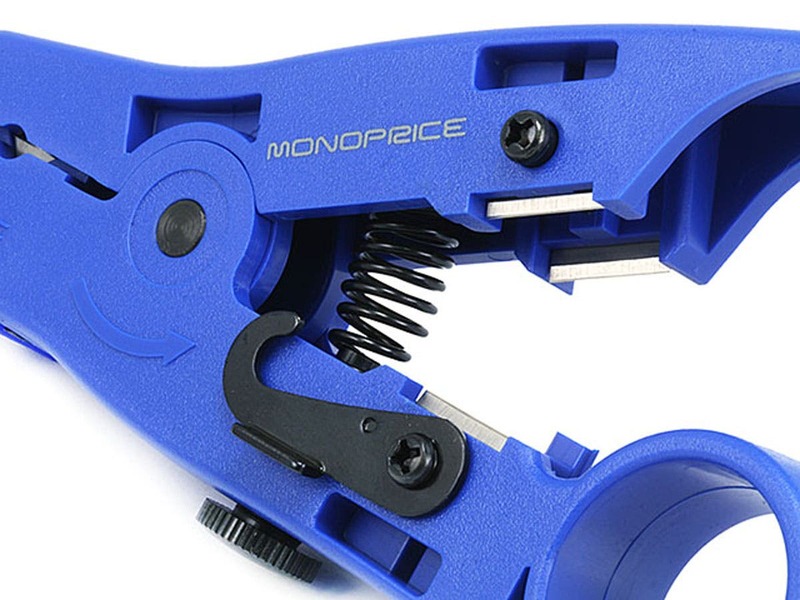 For the price paid... this tool is a bargain. I used it mostly for removing the sheath off of CAT 6 cable. It works great. The nice thing is that you can adjust the depth of the cutting blade. With proper adjustment, you will not cut the wire beneath the sheathing. What you need. But you don't have one, yet? Anybody I'm working with seems to love these so much, they decide that they want mine. Being that these are so inexpensive (not cheap), I look the other way. I just make sure to order a few at a time so I don't run out. Works great as a stripper.. not really crazy for it as a cutter. I just use my crimp tool for cutting and this for jacket trimming. If you take a few mins to adjust the blade you can get perfect jacket trims every time without nicking the inner wire. for the money probably nothing better out there. 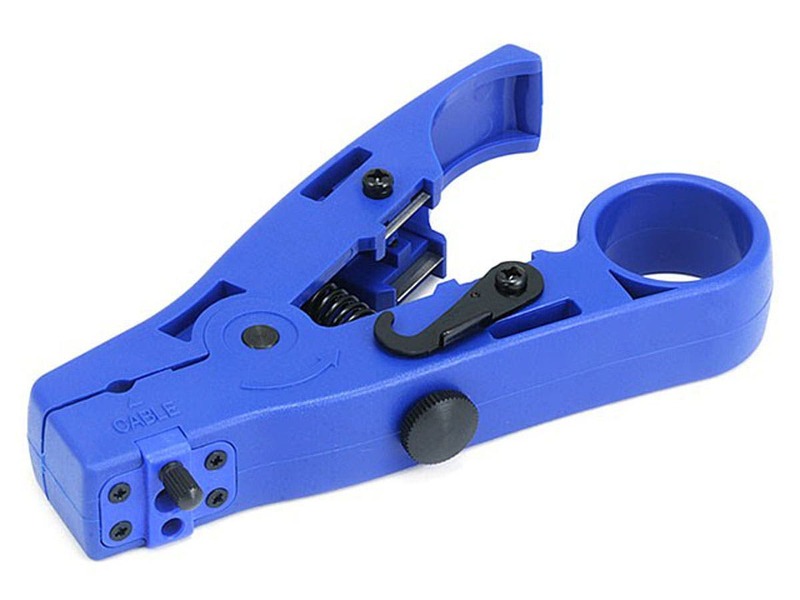 This is a must have if you're running making ethernet cables. The adjustable razor blade is handy so you don't penetrate the jacket too much and cut into the twisted pairs. For the money I doubt you could find one better than this. After getting it adjusted, it worked wonders on network cables (plenum and non-plenum). I have used it on about 200 cables so far with no issues and it sure beats having to use a razor blade. After a few adjustment on the blade, cuts like butter through the cable jackets. Had it for a few months and still works great. CONS: Kinda bulky, bigger than other strippers I've used. Properly adjusted, this tool will strip a jacket in less than a second without nicking the conductors. May not stand up to 1000's of strips. PROS: Great price. Works well. 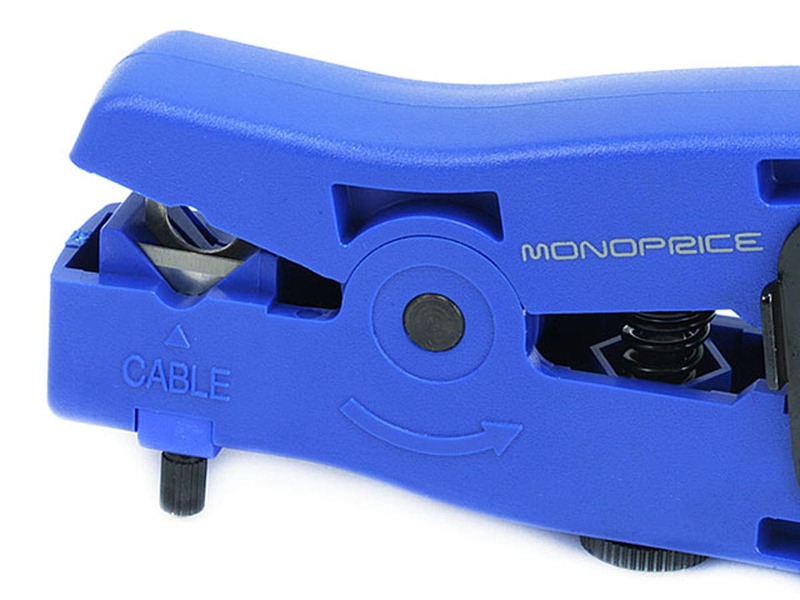 Great and cheap stripper/cutter. Feels quality and will see how long this lasts. This tool works great. More than enough for users looking to rewire a home or two. Adequate for contractors.